Fix Liechtenstein in World map. 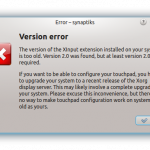 This entry was posted in KDE, Linux, Silly by Chris Samuel. Bookmark the permalink.